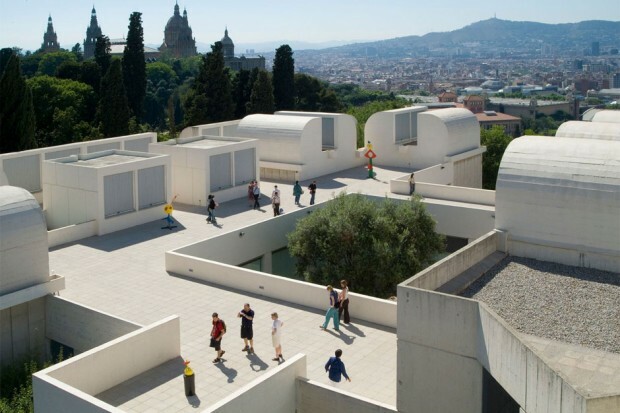 The Fundació Miró is highly regarded as one of Barcelona’s top art galleries, and in 2015 celebrates its 40th anniversary as a showcase for contemporary art. The Foundation has created a fresh concept for art museums, exhibiting the best of Miró’s work alongside creative, contemporary works by other artists. Escape from the city for a few hours and visit this spectacular museum situated within the tranquil greenery of Montjuïc Hill. 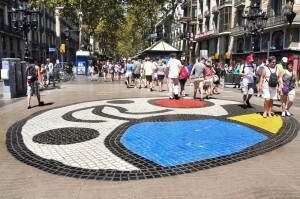 Miró was born in Passeig del Crèdit, Barcelona in 1893. Miró grew up in the Barri Gòtic neighborhood of Barcelona and began drawing classes at the age of 7. As a young artist he often had his work ridiculed and was unhappy with his formal art training. However during 1921, Miró relocated to Paris where he developed a more precise artistic style. Miró had previously met Picasso back in 1919. He was now also living in Paris and soon became an influential contact in Miró’s professional life. In 1924, Miró joined André Breton’s Surrealist group and often contributed to the group’s works and ideas. Miró’s style often involved abstract, yet recognisable, shapes and bright colours. He was well known for experimenting with traditional perception and turning objects in to indefinite works of art, without fully committing to abstraction. At the time, this style was completely new to the world of art and was soon taken aboard by contemporary artists such as Yves Tanguy and Jean Arp. 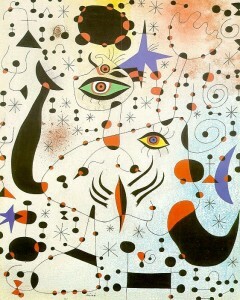 Perception is a key theme amongst Miró’s works and often the object of perception is almost secondary. In 2014, Barcelona was named the 4th most creative city in the world. This will come as no surprise to those who have been lucky enough to visit this vibrant city. 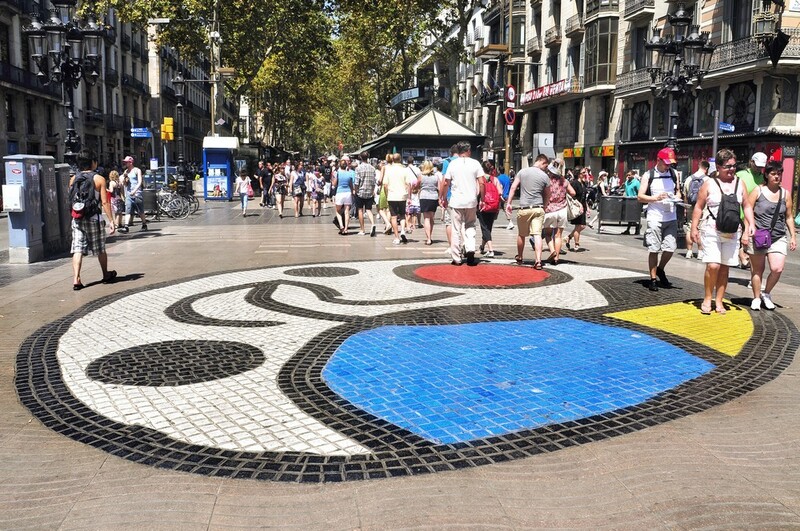 Two of Joan Miró’s sculptures can be found in Barcelona’s streets and squares: the “Dona I Ocell”, which can be found in Parc Joan Miró, and the mandala mosaic on the ground of Las Ramblas. Today, the museum holds more than 14,000 pieces including nearly all of Miró’s graphic works, over 800 of his drawings and over 400 works by other artists. 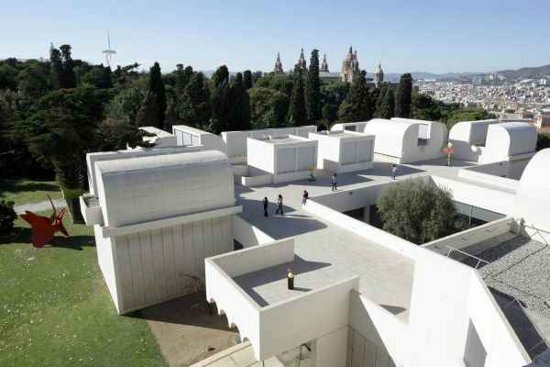 Frequent exhibitions for new artists are held here, and every two years it hosts the “Joan Miró Prize” with 70,000€ is awarded to the winning artist. This is now one of the most significant awards for art in the world. The Foundation first opened in 1975 with the help of Miró’s friend Joan Prats. The purpose behind the foundation was to create a space that would encourage artists to experiment with contemporary art. 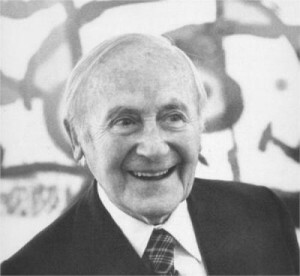 Miró’s only condition when creating the Fundació Miró was that it must promote and provide opportunities for young contemporary artists in Barcelona. The Fundació Miró is located in Parc de Montjuïc in Barcelona. It can be reached by buses 150 and 55 as well as the Funicular from Paral·lel metro station. Keep up to date with the latest Joan Miró exhibitions or view a catalogue of his works on artsy. This entry was posted in Home, Places, Things to do, Tourist Guide and tagged barcelona activities, barcelona attractions, barcelona tourist guide, museums in Barcelona, things to do in barcelona, tourism in barcelona, visiting barcelona. Bookmark the permalink.